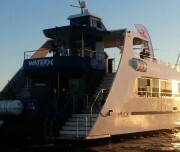 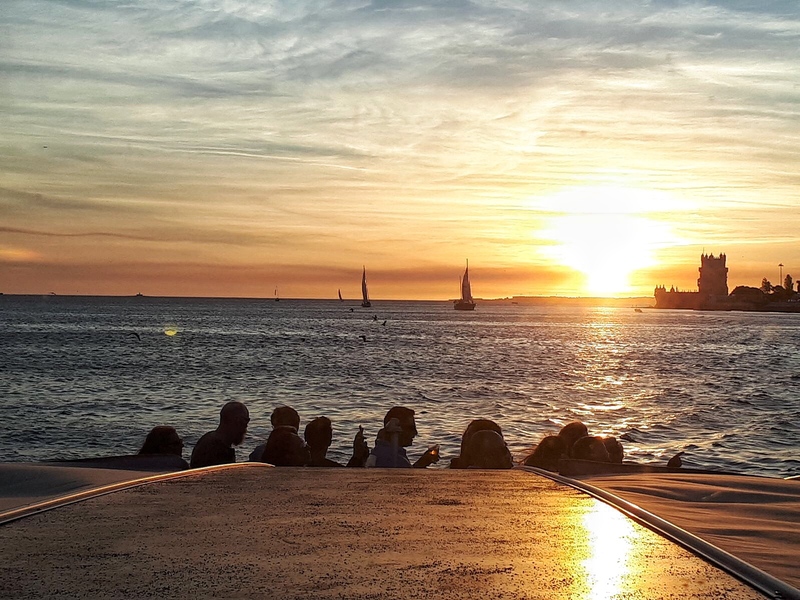 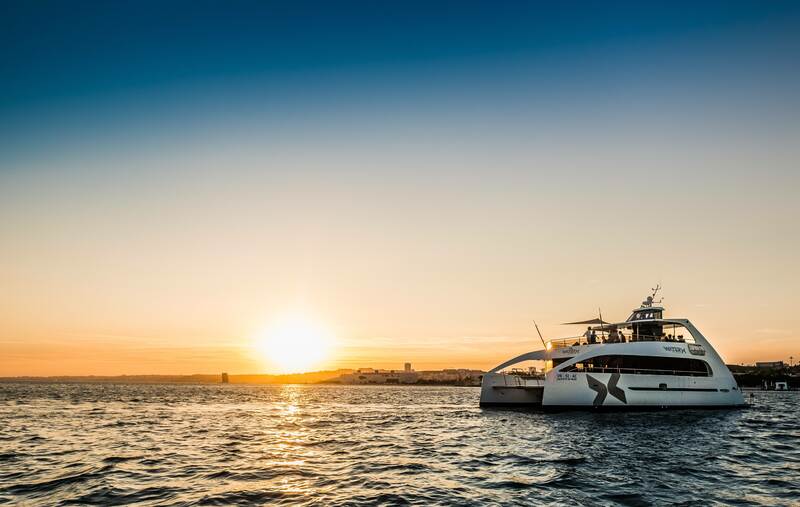 Come sail towards an unforgetable sunset and celebrate good times in style! 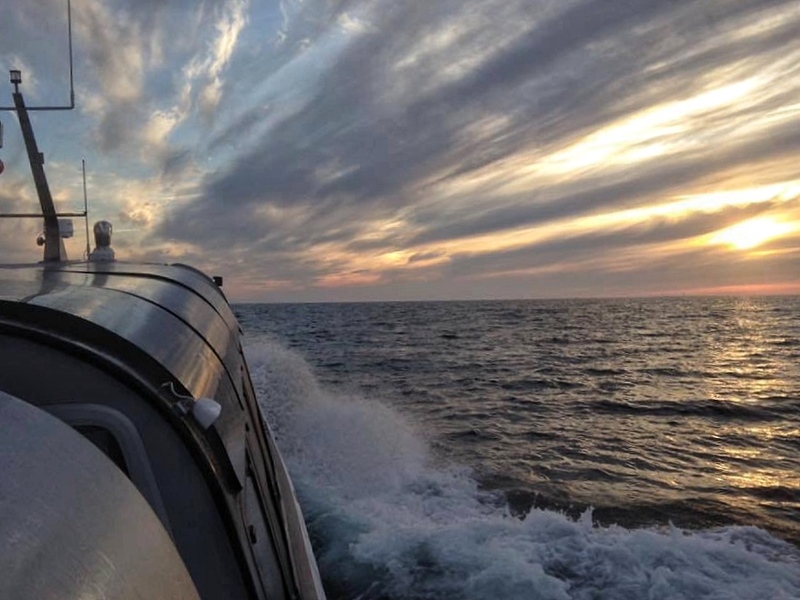 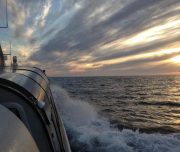 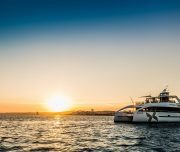 Come enjoy this special time of the day, when the sun anounces his final dive in the blue ocean by painting the sky with a great shade of colours, as night falls, and board on this unique experience. 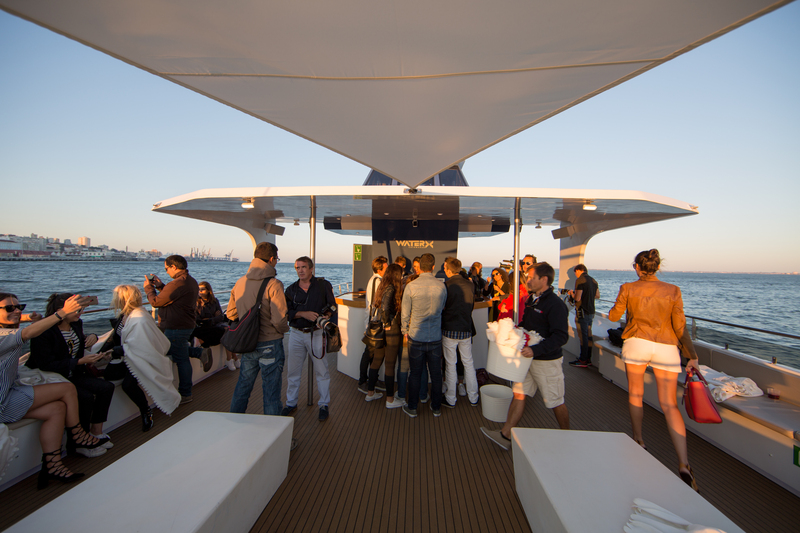 Ensure the best place to witness this natural spectale from a privileged place, confortably instaled either on the wide indoor salons, or in the pleasent external areas, that you will be able to find on our exclusive yacht fleet, designed and buitl specially to host group events. 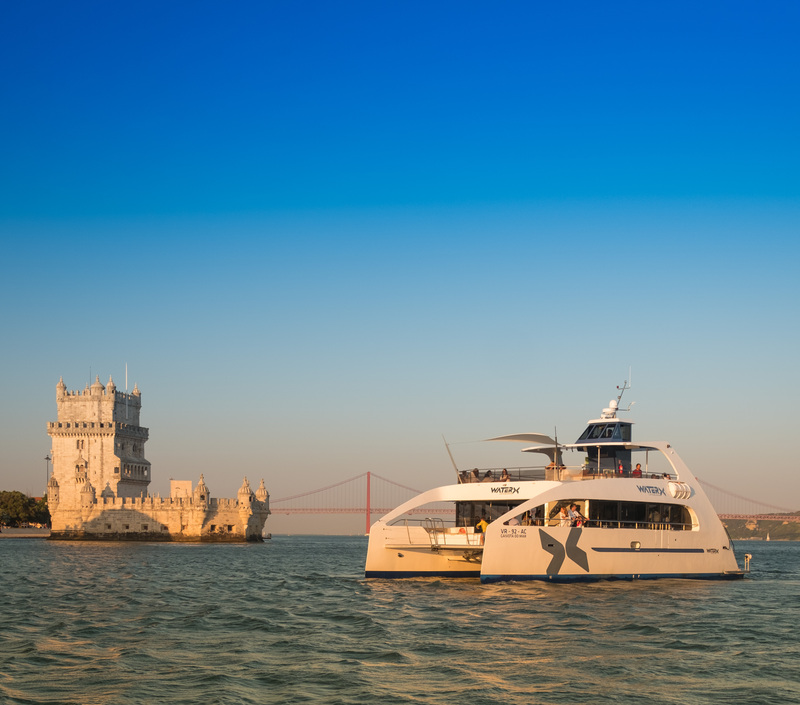 Hop on board and celebrate special moments on a sophisticated, yet relaxed, atmospheere and enjoy a premium service while cruising trough the calm waters that reflect beautiful sights of our coast painted in gold. 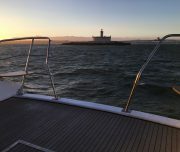 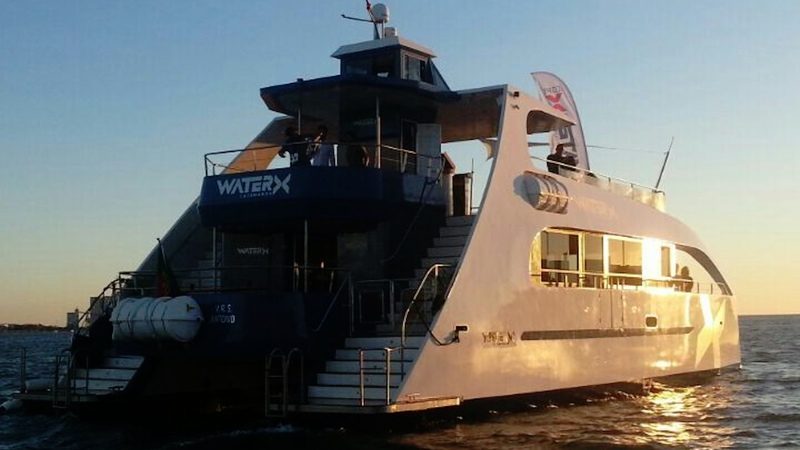 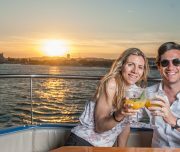 Don’t leave anything to chance, set a special tone on your sunset cruise by taking a look at our list of adicional services (catering, bar, Dj, branding, etc.) 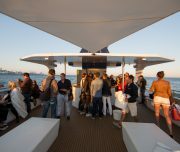 and choosing the the options that will help this to make this a even more perfect celebration. 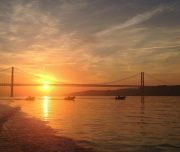 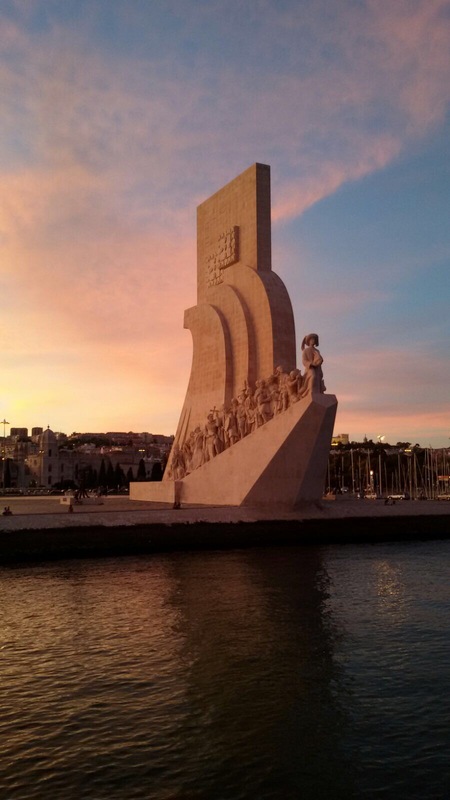 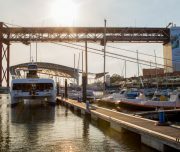 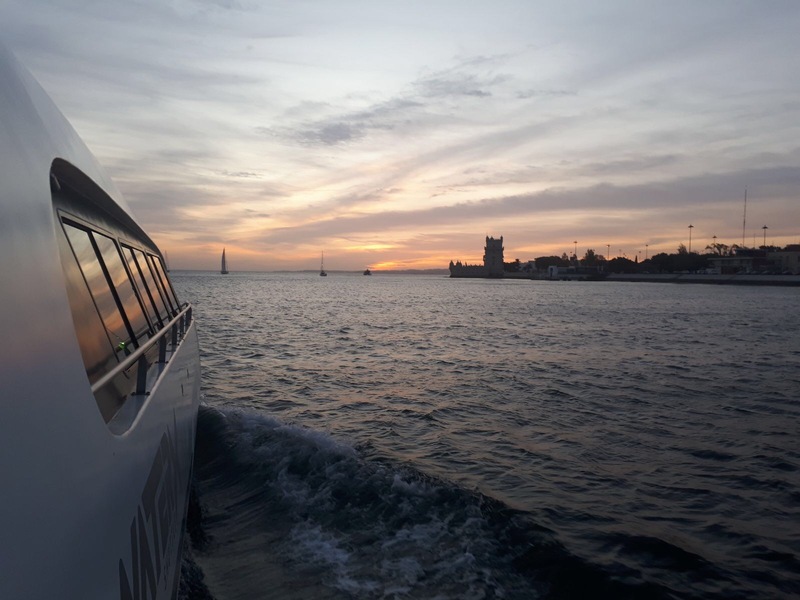 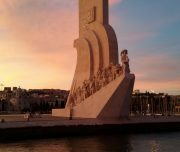 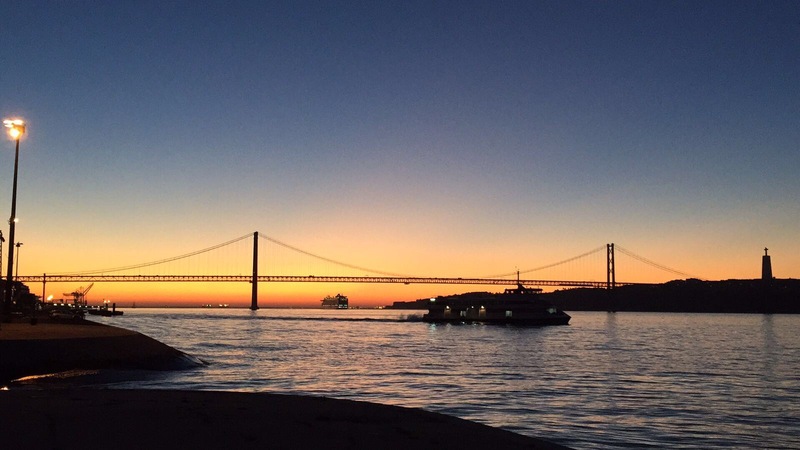 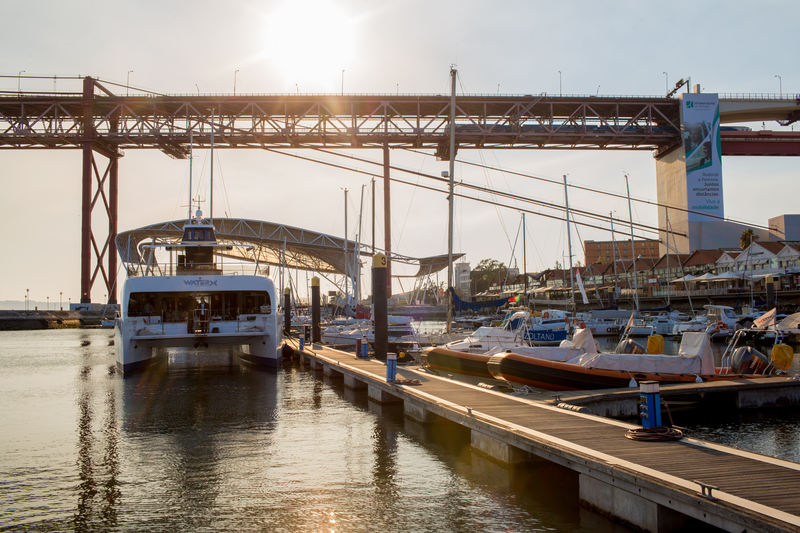 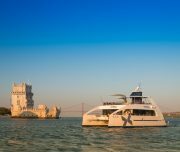 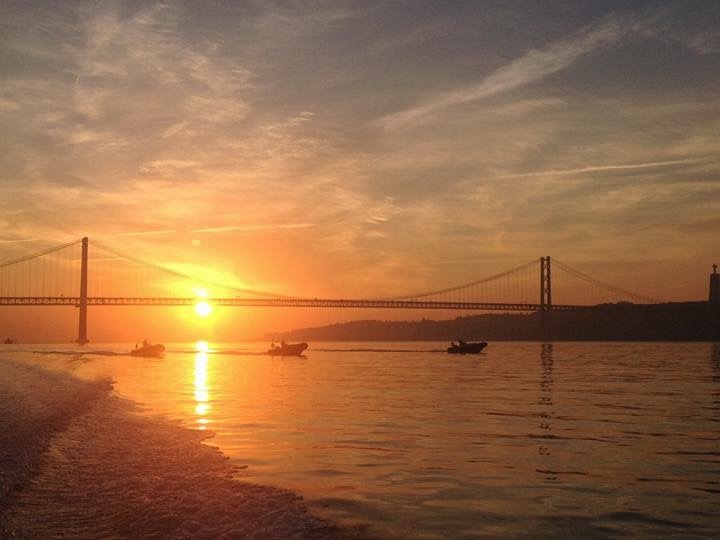 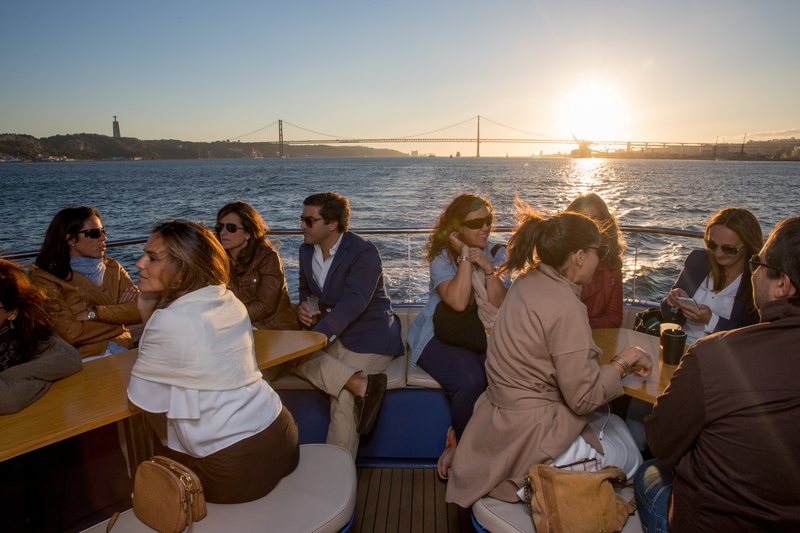 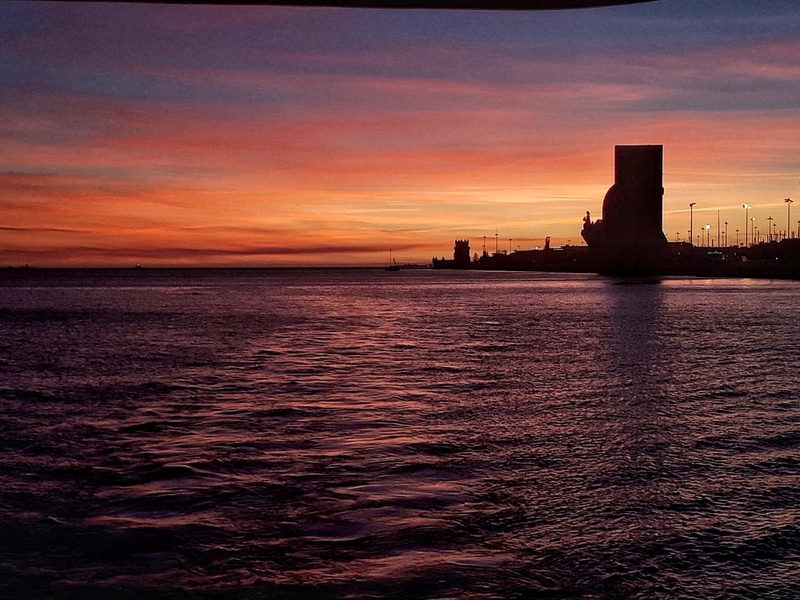 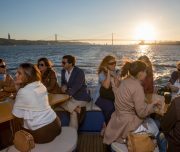 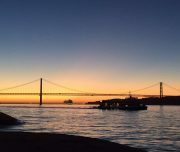 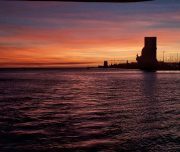 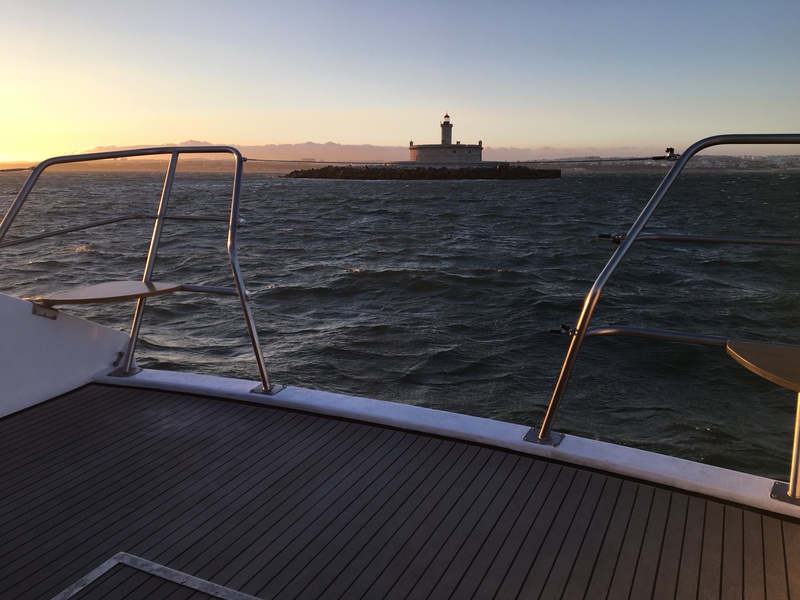 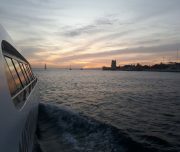 Start planning now your next sunset cruise by constacting us at reservas@lisbonbywaterx.com, we look forward to welcome you on board!